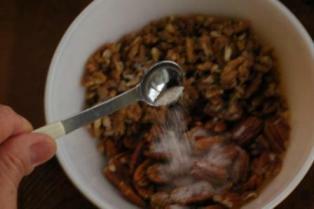 For each 4 cups of nuts, add 2 teaspoons (or more) of sea salt. 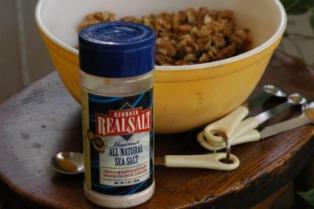 I use the Redmond Salt products. Add enough filtered water to cover all of the nuts. Stir and soak them for at least 12 hours. 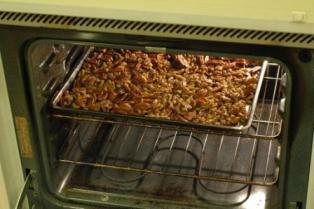 Put nuts on a cookie sheet coated with butter (I don't always do) and put in the oven. 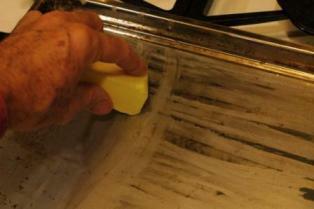 Cook in the oven at low heat (150 degrees or less is best) for 12 – 24 hours. The lowest our oven will go is 170 degrees. Turn the nuts occasionally. Remove and enjoy as a wonderful snack after the nuts are completely dry. 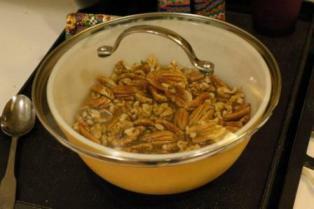 These nuts, pecans especially, can be used in other recipes such as pecan pies. 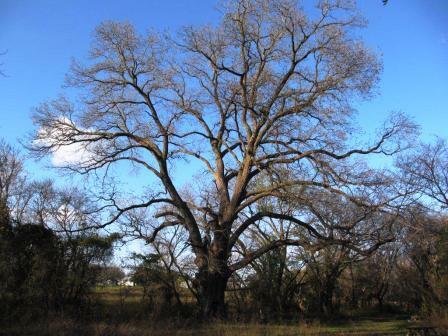 Catch up and read previous Dirt Doctor Newsletters or listen to or download Dirt Doctor Radio Show Podcasts during the holiday season or make a New Year resolution to live the Organic Lifestyle for 2010.
articles on the Pecan Tree: Champion Pecan Tree and Pecan Research on the Champion Pecan. Here are the preliminary details for the “Name the Tree Contest".